Great storytelling comes naturally to some people, and unfortunately, I am not one of them. Which is very detrimental when you are pursuing a career as an author, blogger, and speaker. My husband and I often joke that I am walking in his calling. He has mastered the art of storytelling both verbally and in writing. People love listening to him tell his tales. Since this is not in my wheelhouse, I am continually working on my writing craft to try and improve. When the opportunity arose for me to review the Guidepost Academy writing program, I jumped at the chance! I was given the entire course for free in exchange for an honest review. I was familiar with Guidepost magazine because I vividly remember my grandmother reading guideposts when I was young. 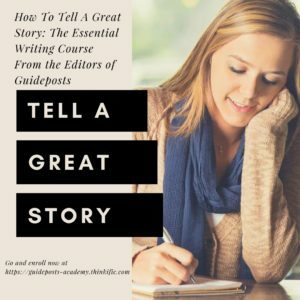 A few of the things I love about the How to Tell A Great Story: As a busy wife, entrepreneur, and homeschool mom it is hard to find time to work on my writing craft, but the Guidepost master class allows me to go through the course at my own pace, pause when I need and come back to lessons as often as I would like. This feature is super helpful. Writing intensive programs tend to be very expensive. Another thing I love about this course is that is is very reasonably priced. Also, I don’t have to attend a classroom or workshop. I can work my way through the course at my own pace at a coffee shop, on the go, or in the comfort of my own home. There are 12 video modules followed by a quiz to test your competency on the material, and each lesson includes a helpful writer’s workbook with highlights from each video session and space for you to take notes. 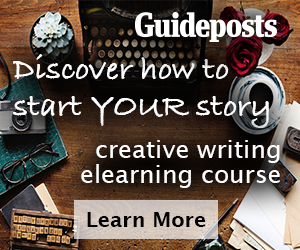 Master storytellers from Guideposts will teach you how to make your story compelling and entertaining, following a formula that has worked at Guideposts for over 70 years. You take the course at your own pace and you can repeat the modules as many times as you would like. Several people have recently asked me for help in learning how to tell their story. This creative writing course is taught by knowledgeable instructors who are fun, engaging and make learning the craft of writing and storytelling a breeze. This master class is taught by the seasoned Guidepost Editors. 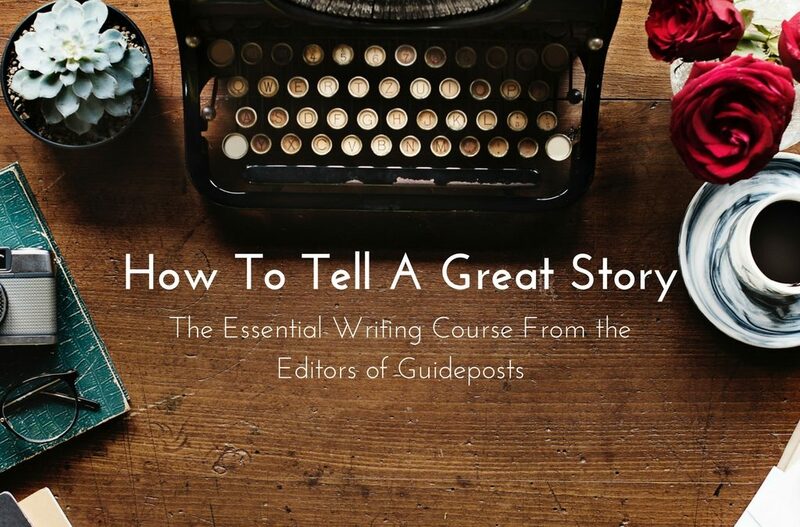 I highly recommend How To Tell A Great Story: The Essential Writing Course From the Editors of Guideposts! Don’t just take my word for it. See what other people are saying. Check out these great reviews! This course is excellent! The short recorded sessions with Edward, Rick, Colleen, Jim, and Amy, were full of helpful information for writers in any genre. The workbook download helped me with note taking and reinforced the learning. I also am grateful that I can retake the course whenever I need a refresher. It is definitely worth $24.99. If you are looking to improve your writing craft, then I urge you to check out How To Tell A Great Story.